[1.11.2] Is using RegistryEvent this way ok? Not sure if you have a question or anything. All I can say is: kudos to you for actually doing research and not blindly copying outdated terrible tutorials. Thanks. I went through multiple iterations of this setup before I landed on this one. I edited my post to actually have a solid question. Basically I want a solid foundation before I start building and want to know if anything at all can be done better. I can't see any issues with your code. This is actually a good way to register blocks and items! I will probably switch to this in the future. Also, is this 1.11 exclusive? I do believe this is in 1.10.2 as well. The later half of 1.10.2, at least. I don't recall when it was first introduced. "Can't resolve method 'getLogger()' "
Else do I need to make a class called 'Utils' and create a 'getLogger()' method? I have never used a Logger so this is new to me. This is custom class and method. Logger is not necessary. If you want to make a logger like many modders do, create an object of type Logger (make sure to import one from log4j library, not java) and initialize it with LogManager#getLogger("mod's id or name") (again, make sure to use log4j one). Everyone usually does that in main class, or in utils. Use logger#info() to log information, logger#warn() to log a warning, etc. That makes sense, Thank you for your reply, I now understand how they work. How would one go about rendering items with this method? Yea, thats what I meant, I'll edit my other post. I'm still unsure how to resolve the issue though. 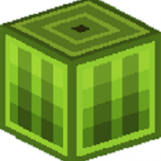 You need your mod ID as a folder between "assets" and "textures" / "models"
[11:55:46] [main/INFO]: Starts to replace vanilla recipe ingredients with ore ingredients. [11:56:34] [main/ERROR]: Exception loading model for variant isdevpds:steel_block#normal for blockstate "isdevpds:steel_block"
Apparently I forgot to change my .txt to a .json thank you, I no longer have any issues. This is a really clean and nice way to do registereing. I may switch to it myself. But would you need to add a new method for Items with Metadata? At least model/texture wise? Or edit those regiser models to cycle through meta data as well? Note that the classes are both proxy and event handler.